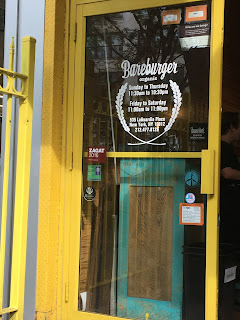 Mouth of Wonder: The Impossible Burger ... they blinded me with science! 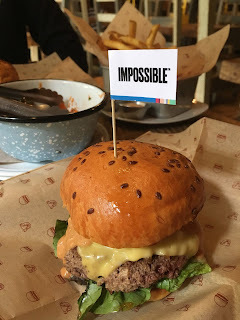 The Impossible Burger ... they blinded me with science! Seasonal Weirdness of the Week This week, I tried the much-talked-about “Impossible Burger.” This is a product of Silicon Valley scientists, politically correct investors, and it is taking the world by storm. 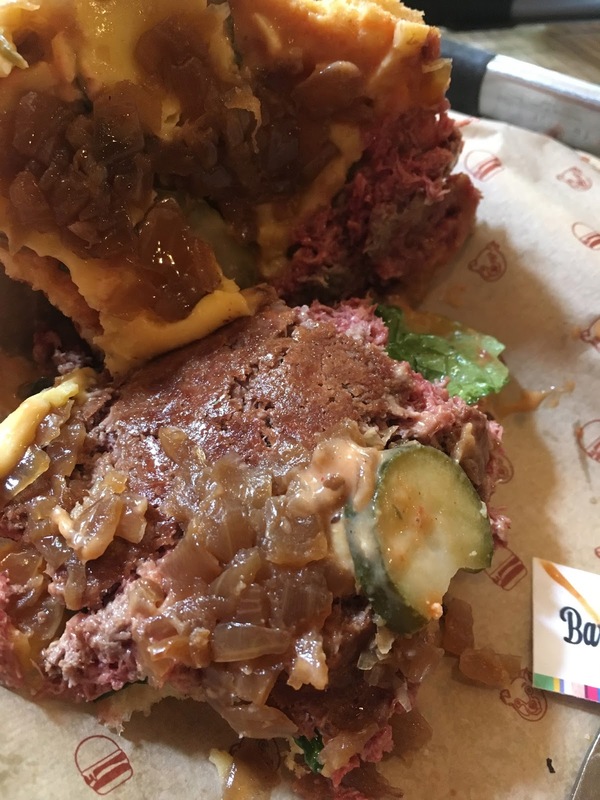 Or at least the world of folks willing to spend around 15 dollars for a vegan burger that looks like meat, bleeds like meat, has a mouthfeel like meat, with one important difference. It really tastes nothing like beef, and kind of gave me a stomachache. 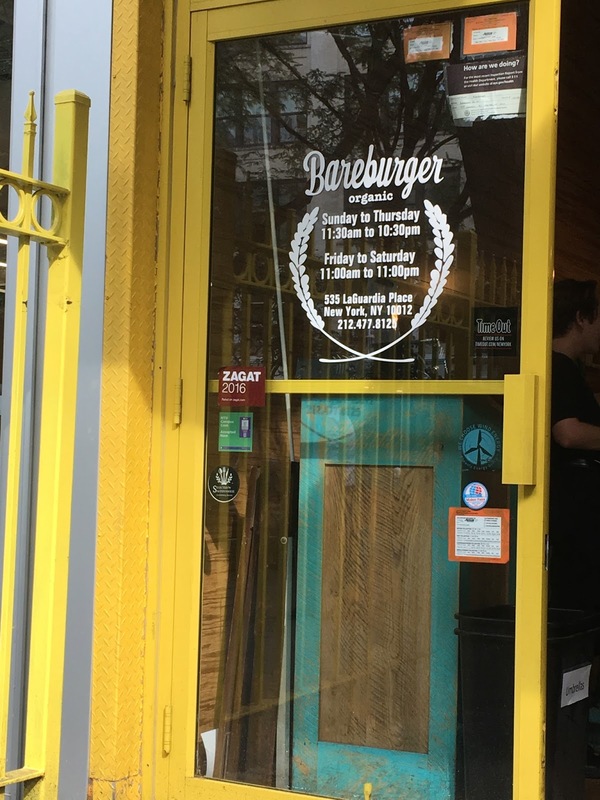 To try this item I went to Bareburger, a chain with multiple locations in New York which features some fantastic burger options (in retrospect, I wish I had eaten one of them). Elk, buffalo, and brisket are all on the menu, along with some killer hand-cut fries, butternut squash with blue cheese, and two amazing Brussels sprout options (sprouts roasted with Sriracha and sprouts with lemon zest and Asiago cheese), but I digress. I think “carnivore’s dream” is a bit much! Honestly, if you were to try it blindfolded I think no one would say it tastes like meat, it’s just the visuals that are so good. Then there is the gluten, which rules out half the hipsters. And the animal testing, which eliminates the vegans. The GMO element, which freaks out most people. And for those who care, the FDA has not approved of this heme plant product as safe for consumption by humans. Aside from that, it’s perfect! In spite of all this, it has developed a cult following and David Chang sells it a Momofuku (so it must be good). All I know is I tasted it, for you my people (who I have ignored way too long), so now you don't have to. Here are the visuals. It was kind of mushy. I asked for it rare and the waitress said “not a good plan” so we went with medium rare and it was unpleasant. It comes with cheap cheese, cheap pickles, cheap bun, and some cooked onions, none of which helped, except maybe to mask some of the weird flavor. Go to the Impossible Burger website to find out more and see if they are available in your area. So far this is the only product they make, but they are promising more in the future, so beware! Would you eat it? Have you eaten it? Let me know what you think in the comments. I am going to go grind up some cow now. Bon Appetite!